3 scales 1/43, 132 and 124 .Carrera has stood for motorsports at home since 1963, thrilling generations of motor racing enthusiasts all over the world. The return of the well known brand Policar. now belongs to a new German company with the mechanics and quality standards of Slot.it. Great news for 70's/80's F1 fans as Policar announce the range of F1 cars. 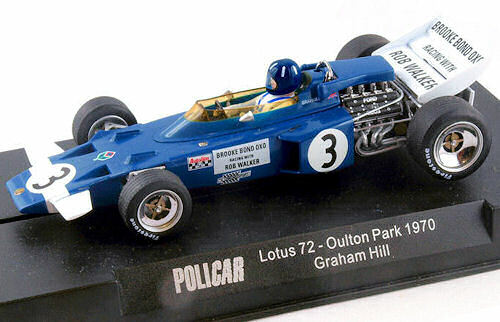 The models are the LOTUS 72, MARCH 701 and MARCH 72, in addition to the already confirmed Ferrari F40 and Ferrari 312PB. 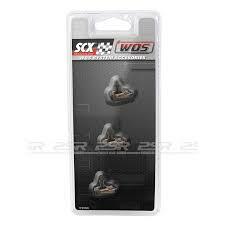 Slot.it produce a wide range of endurance slot cars that are very popular with the collector, home & club racers. Some fantastic racing liveries to choose from, plus plain white cars to create your chosen livery.